This is your invitation to a special event organized by Electric Mobility Canada and Plug’n Drive, along with the Golden Horseshoe Electric Vehicle Association, the Electric Vehicle Society of Canada and the Toronto Hybrid & Electric Car Club to celebrate Drive Electric Week and to meet EMC’s new President and CEO Chantal Guimont. September 15 to 21 is Drive Electric Week across North America. 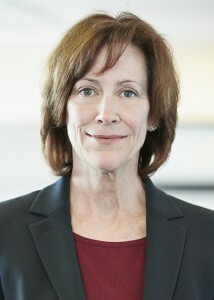 EMC’s new President and CEO Chantal Guimont is in the Toronto Area for a number of meetings early that week. Electric Mobility Canada along with Plug’n Drive and other groups noted above are organizing a ‘Celebrate Drive Electric Week and Meet Chantal Guimont’ event on Monday September 15 starting at 5:00 pm at Shoeless Joe’s Sports Grill located in the Meadowvale Town Centre in Mississauga. So, come and join your colleagues for a drink (and a meal if you wish) and meet Chantal. Shoeless Joe’s is located in the Meadowvale Town Centre – 6570 Meadowvale Town Centre Circle in Mississauga (north east corner of Winston Churchill Blvd and Battleford Road). Joe’s Room, on your right as you enter the restaurant is reserved for us. Weather permitting, we can also use their large patio. There is plenty of space to display your EVs in the mall parking lot in front of the restaurant. So, bring it over. 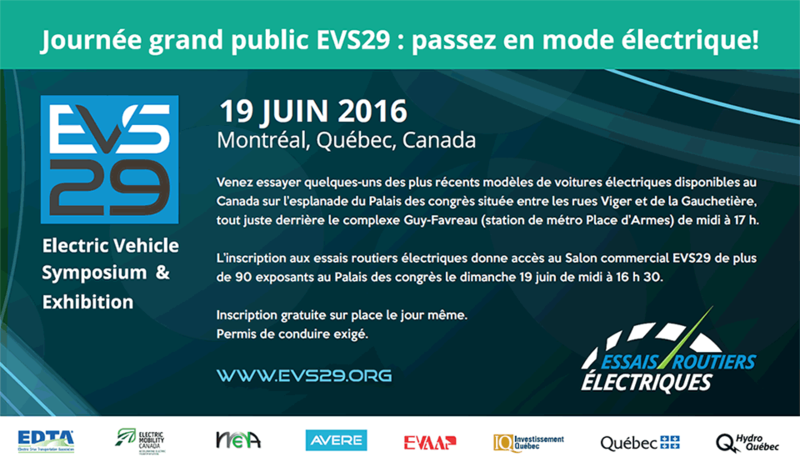 We are urging the general public to drop by and see EVs. It would be up to you if you wish to take someone out for a ride. See footnote below if you wish to do so. Please RSVP to Marie-Andrée Emond at m.a.emond@emc-mec.ca and let her know if you are bringing a plug-in vehicle. We look forward to seeing many of you on September 15! It is your decision what you want to let guests do with your vehicle: look at it, sit in it, ride in it, or drive it. If you’d like to specify any rules or limits, you might want to put a note on the car indicating so. The more you let test-drivers do, the more likely they are to be enthusiastic, but it’s important to balance that with your comfort level with having others in your car. Check your insurance policy beforehand or check with your agent to inquire about coverage when someone else is driving your car. You can probably let others drive the car for quick trips, but check first, as a few policies will not cover even that. Note that you can’t accept money for rides or drives, as that would count as commercial use. Ask for a valid driver license from anyone wishing to drive.